Watch the entire course or just one class. 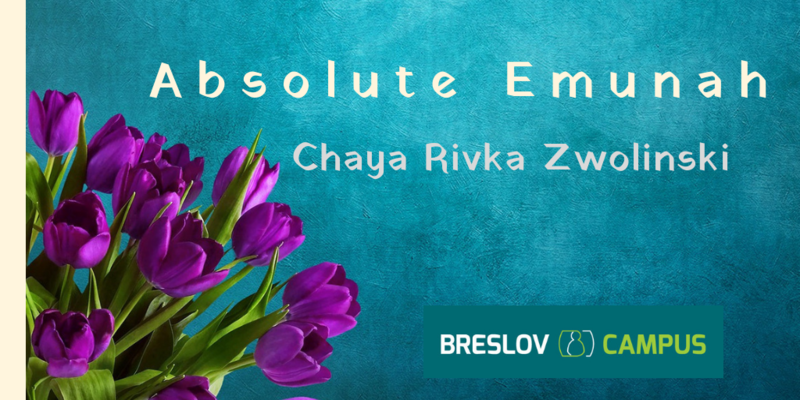 Absolute Emunah on BreslovCampus.org live with Chaya Rivka Zwolinski, Monday nights at 8:30 pm (NY Time). Prefer audio? Follow this link for soundcloud and to sign up for class reminders.